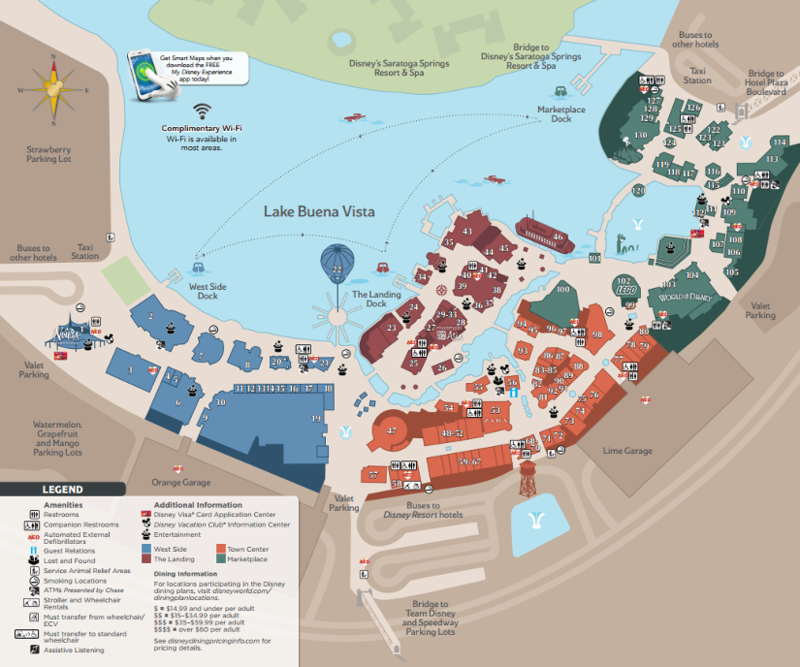 Updated Disney Springs maps will be available around the Walt Disney World Resort starting from Sunday, April 9. 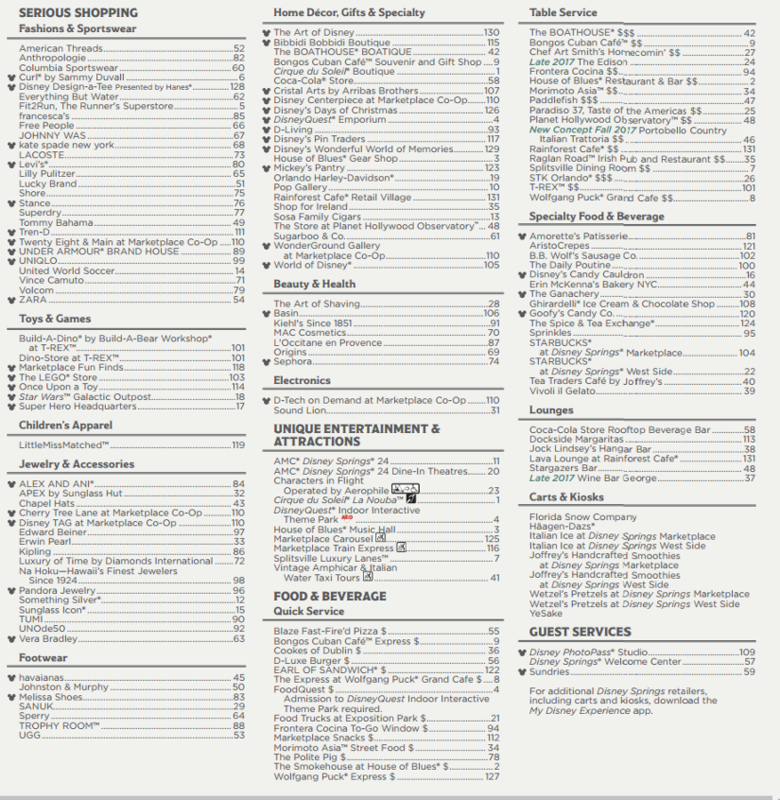 New features for the April 2017 guidemap include (1) a new color coding based on the experience (shopping, dining and entertainment); (2) stores listed alphabetically; (3) label for stores that sell Disney merchandise (look for Mickey); and (4) key landmarks throughout the four Disney Springs neighborhoods. In addition to that, the Spanish, Portuguese, and French maps will also be updated. 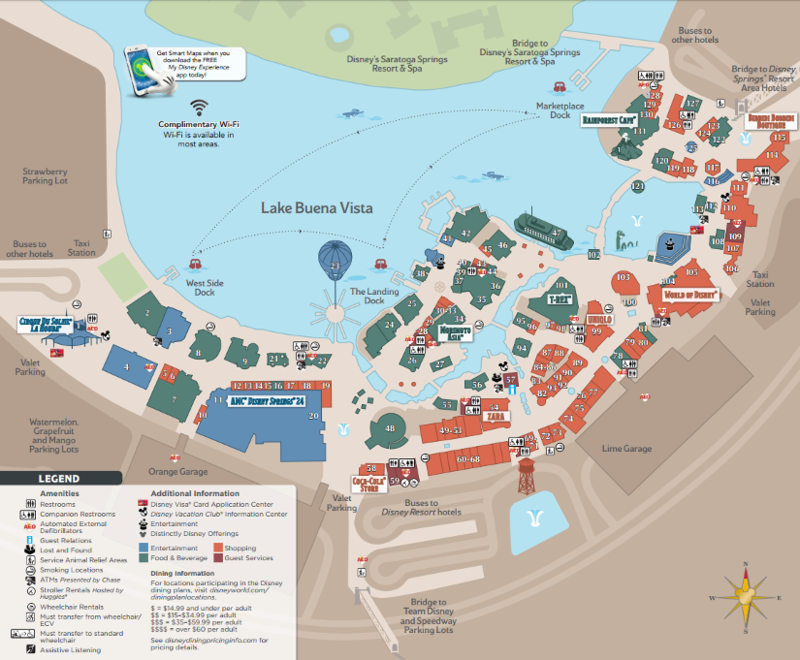 DISNEY SPRINGS MAPS: © 2017 Walt Disney World Resort. All Rights Reserved. 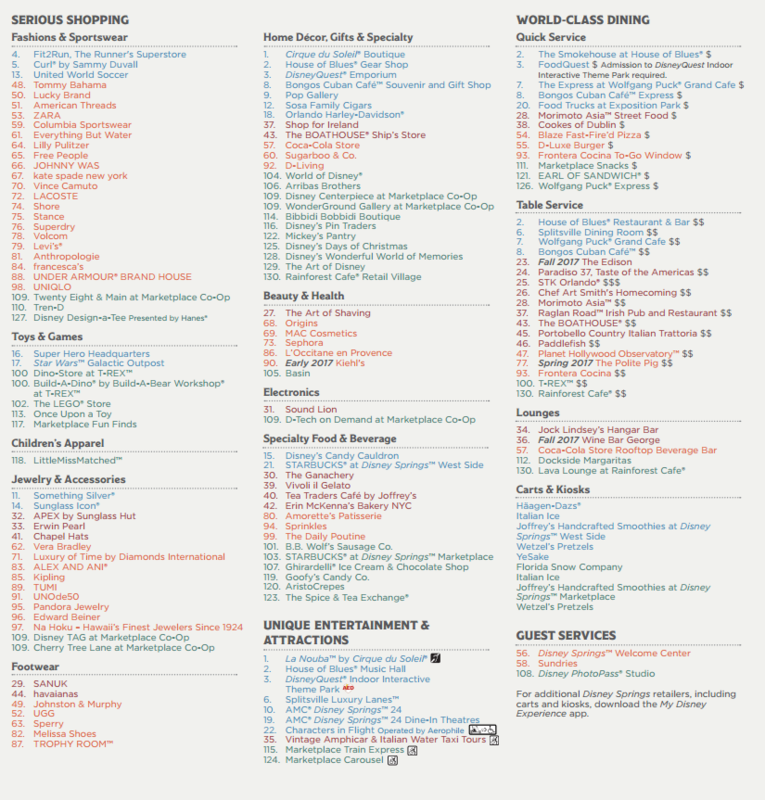 That's what I call a vast improvement.